The guts of Little Walter inside the shell of R2-D2. What we have developed here is an inexpensive yet effective harmonica microphone for blues harp amplification. It has a lo-z element mounted inside a stainless steel "egg". A Switchcraft quarter inch jack in the rear of the Robo allows it to connect to any amp or PA by means of a standard guitar cable. The guitar lead is not included but a good quality 3m lead is available to purchase in the 'Accessories' category. 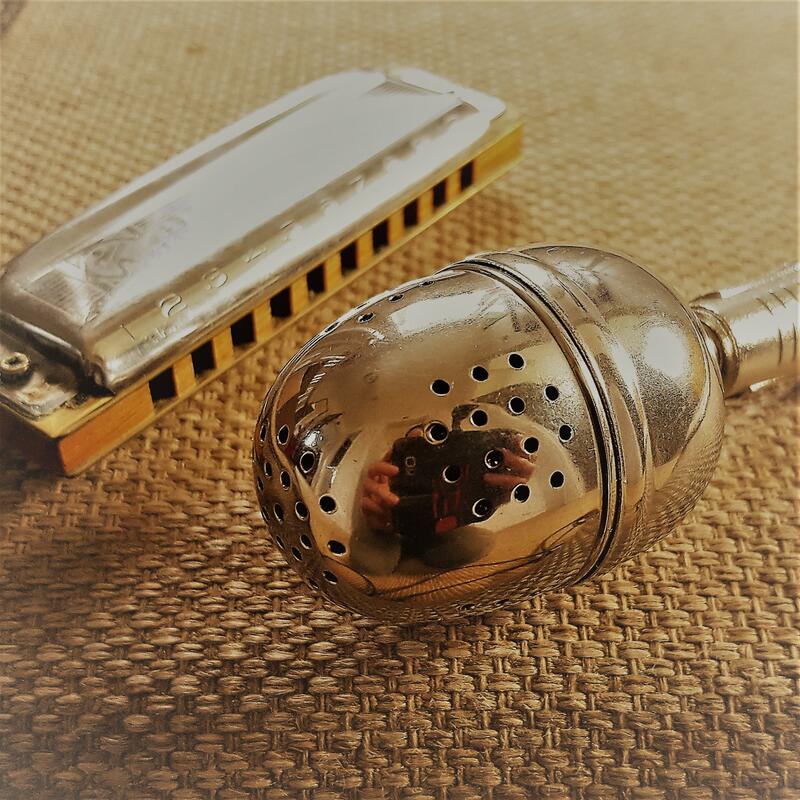 Cup the Robo-Hobo in your hands with your blues diatonic harmonica for a great amplified tone with that distinctive full sounding 'Chicago tone' every bluesman searches for. Great harmonica microphone to buy for yourself or as a harmonica gift.